Watching real time search of user using Google analytics was somewhat very interesting. 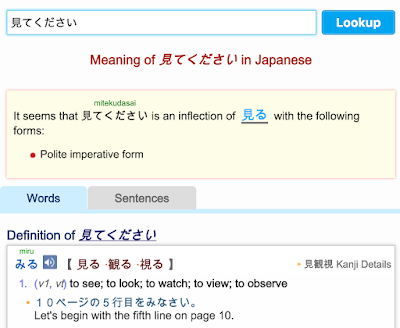 Many users, I suppose beginners, searched a verb in a changed form, not dictionary form - jishokei (辞書形). 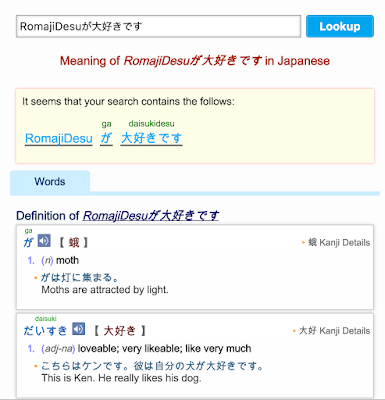 It made me think of my early days when self studied Japanese by trying to understand a favorite Japanese song, by copying a whole words into a dictionary without getting anything. 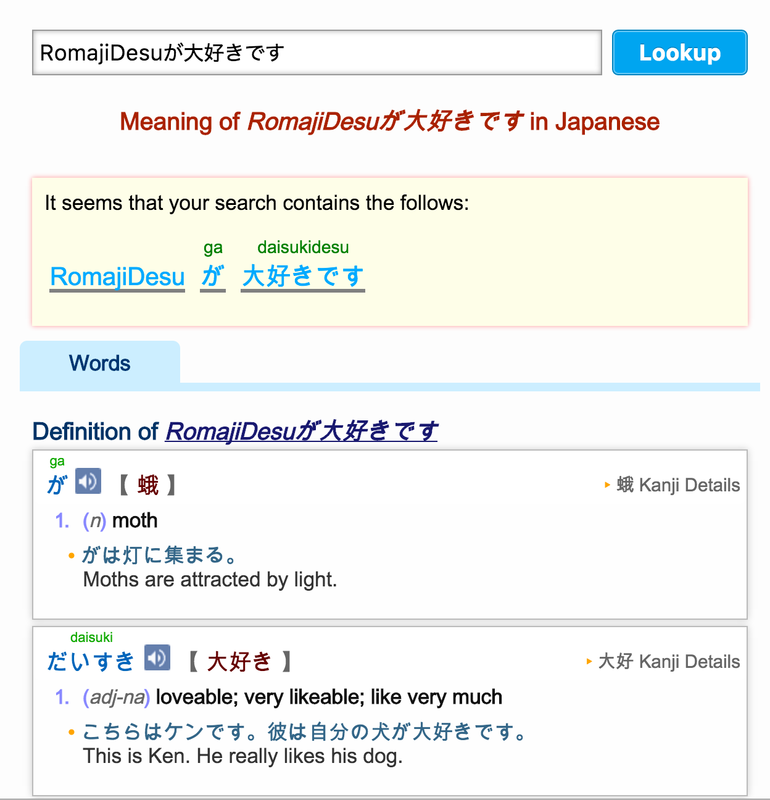 In the the earlier version of RomajiDesu's Japanese Dictionary, if you searched "見てください", there'd be no result. But in this version, you will get the jishokei of the verb "見る", as well the possible conjugation form "Polite Imperative" (command). 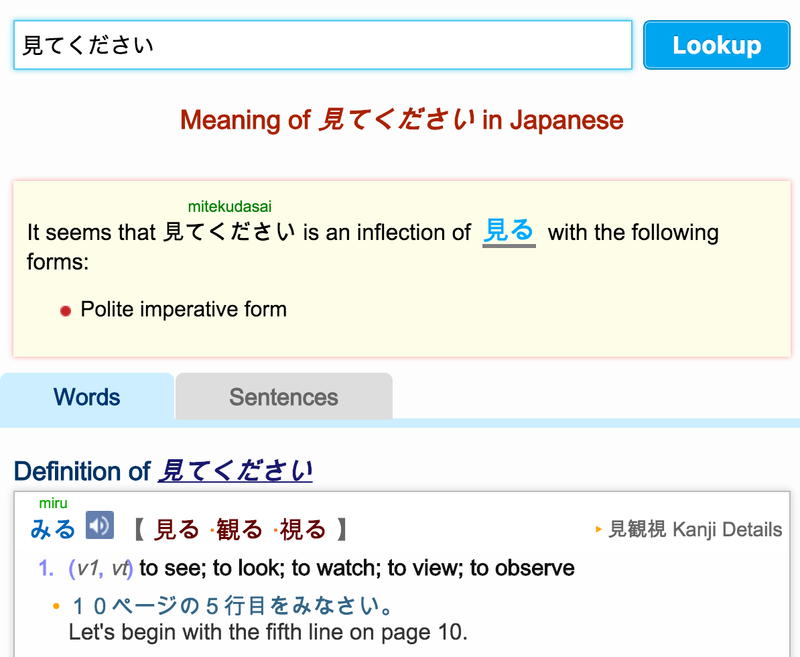 So from the verb (miru - look), and the inflection (polite imperative), you can easy guess the meaning: "Please look!"